The Microsoft Cloud Roadshow was two-day technical training event for IT professionals and developers that provides best practices and insight directly from the experts who build and run the cloud services across Office 365, Microsoft Azure, Windows 10 and more. Whether you know your way around the cloud or are just getting started, youâ€™ll learn something new and walk away ready to apply your new skills. Sysfore Technologies exhibited its IoT solutions with a live demo on Raspberry Pi. With an overwhelming response at our booth , we were able to interact with a lot of like minded people who were interested in our solutions on the cloud platform. As a part of the roadshow, we even ran a contest for all participants where we were giving away a Raspberry Pi Kit, Swiss Military goodies, a book on Implementing IT Strategy in your company and an Azure e-Kit. 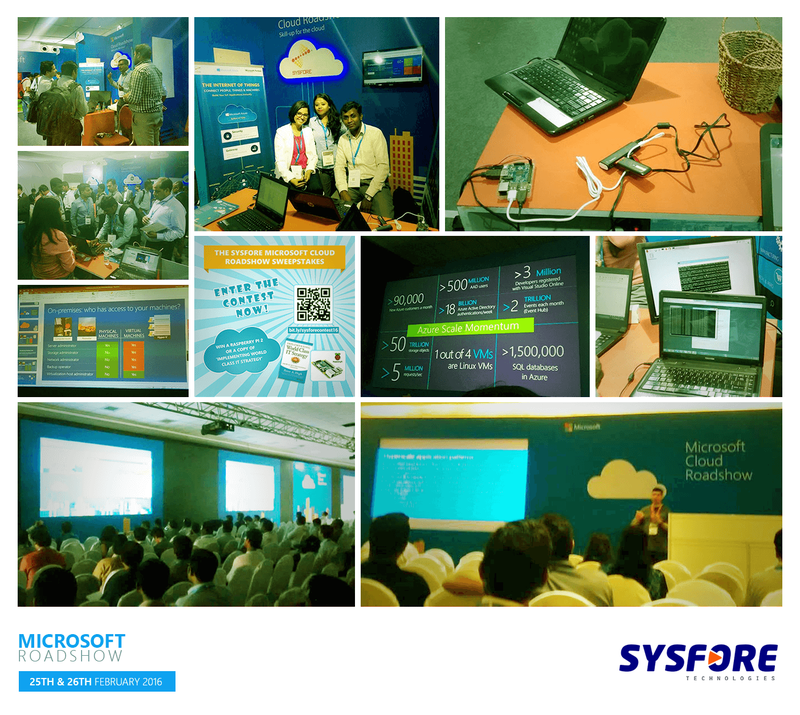 Sysfore Technologies host the Azure Summit 2015, Trivandrum in collaboration with Microsoft's India's Azure Team. The focus of this event was to provide an understanding of the target scenarios that leverage the strength of Azure, while aligning computing and business needs. This session covered in detail how Azure can help address any of your business needs, simplified disaster recovery, storage and backup with Azure Site Recovery, Open source on Azure for all your Open Source Projects. 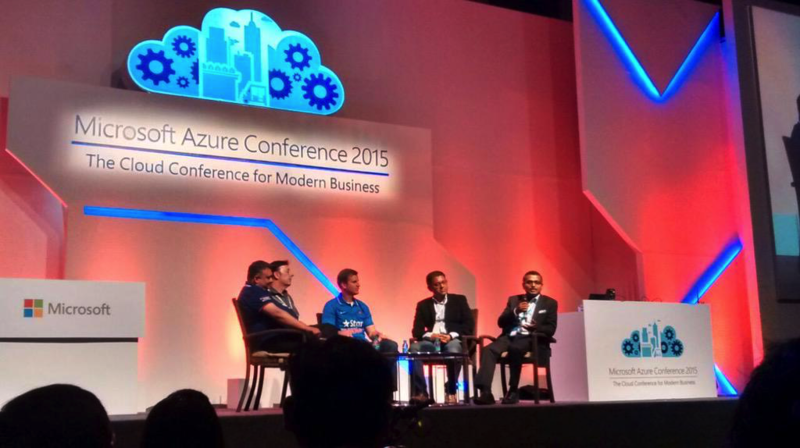 Each of these topics were backed by live examples and success stories of customers who have adopted Microsoft Azure. The Microsoft Azure Conference brought together the best minds in cloud computing from across the country and globally to help develop a robust cloud ecosystem in India. Microsoft Azure Conference is a great platform for businesses to explore some best cloud solutions and learn from experts to accelerate their move to the cloud. The two-day conference showcased the best of cloud solutions for businesses, technical content and expert views on Microsoft Azure cloud platform. Speakers demonstrated how businesses and partners can accelerate their cloud journey. There were 6 full-day tracks, 65 sessions and over 70 speakers. 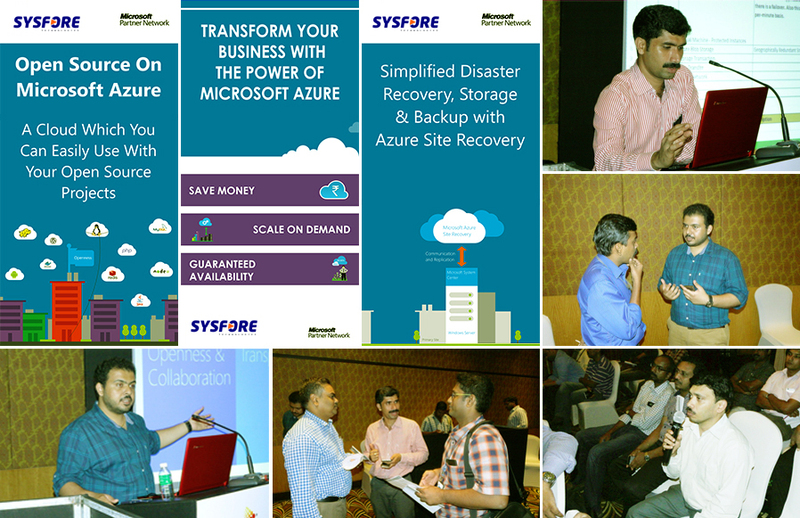 Sysfore Co-founder and CTO Ajith Mathew George shared the panel with Tyler Bryson- General Manger Marketing and Operations Microsoft India, to discuss opportunities on Azure and success stories on the Azure platform. For highlights, visit any of our social media channel. Sysfore Technologies exhibited at Booth SR-G9 located at India Pavillion, Sheikh Rashid Hall at Gitex (Gulf Information Technology Exhibition) this year. Gitex Technology Week is the most widely recognised and annually anticipated ICT trade event across the Middle East, Africa and South Asia. 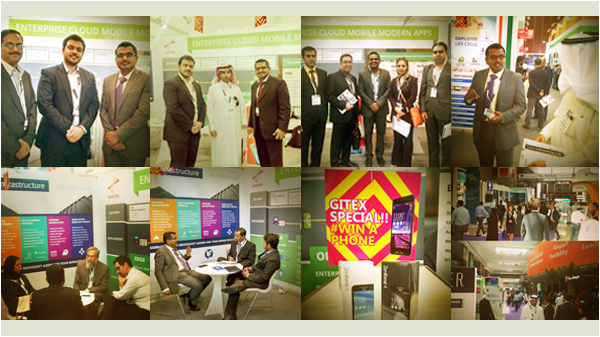 Sysfore launched Cloud, Mobility and Responsive app services for the Middle East markets at the event. Sysfore Technologies is co-hosting 'The Azure Summit'-a first-of-its-kind event in Hyderabad, to showcase the Microsoft Azure Platform and to provide an understanding of the target scenarios that leverage the strength of Azure, while aligning computing and business needs. 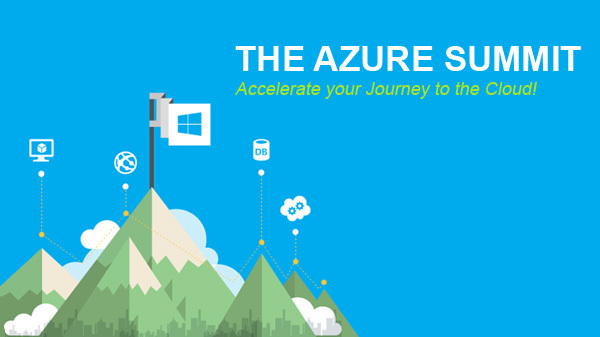 Attendees will hear success stories of customers who have adopted Microsoft Azure. Special sessions planned for the event also include StorSimple Cloud-integrated Storage and Office 365. The event is hosted in partnership with Microsoft India's Azure Team and Comparex, a Microsoft Large Account Reseller(LAR). Sysfore Technologies participated in Microsoft WPC 2014-the annual, global convergence of Microsoft's top partners. 16,000 attendees from over 140 countries gathered to discuss Microsoft's commitment to partners and how partners are betting big on and winning big with Microsoft solutions. Top Microsoft leaders discussed the company's clear and differentiated vision for the future in a mobile-first, cloud-first world. 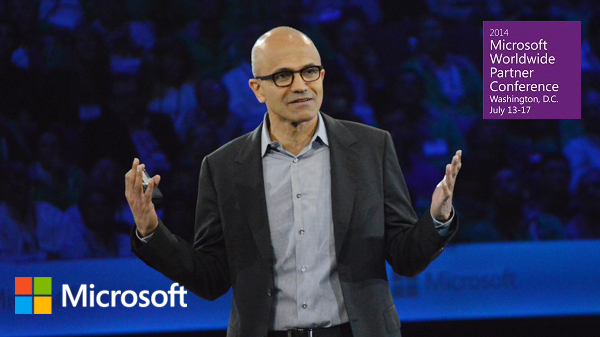 For important announcements and highlights from WPC 2014, visit our blog. 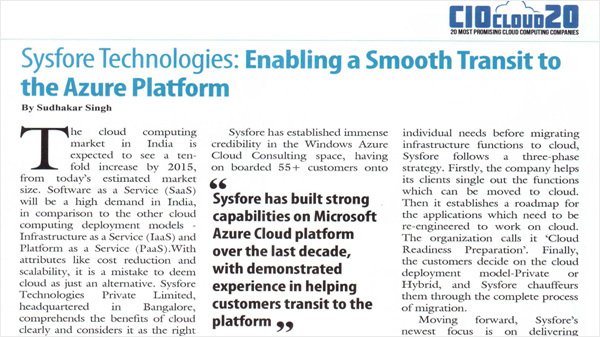 Sysfore Technologies, an Azure Circle Partner and champion of Microsoft Azure Cloud Services in India, was recognized by CIOReview magazine among the '20 Most Promising Cloud Computing Companies' who are at the forefront of enabling enterprises adopt cloud technologies. Sysfore launches its new website with a full content refresh and also highlighting new service offerings for customers. New service offerings include Mobile application development on the Android platform, and also Responsive Apps Development. Over the last few years, we've seen a significant shift in customer enquiries and needs, and we've spend some time to build out new capabilities to offer the new services to our customers. With the increasing rapid pace of Smartphone penetration throughout the world, a "mobile first" approach is largely becoming the strategic direction in which our customers are moving. It is becoming imperative to have enterprise web apps, ecommerce sites and customer portals redesigned to be responsive, so that the website or Web app can render equally well on a mobile, tablet or desktop client. Mobile is increasingly directing some of the key IT initiatives at organizations, and responsive delivery apps, native mobile applications are now high on the list of IT priorities for lots of our enterprise customers. Sysfore has slowly built out this capability and have added these services as new offerings for customers. 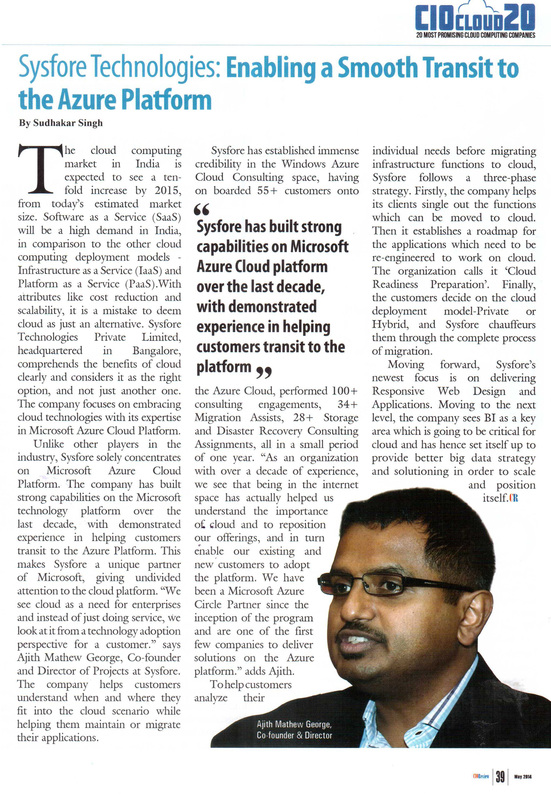 Also significantly different from the previous service model, is an increasing emphasis on Cloud Solutions and Services. Though we have been a key player on Windows Azure Cloud platform, and a part of the Microsoft Partner Program as a Cloud Accelerate Partner and Azure Circle Partner, we have not emphasized the varied services and solution clearly on our earlier website. 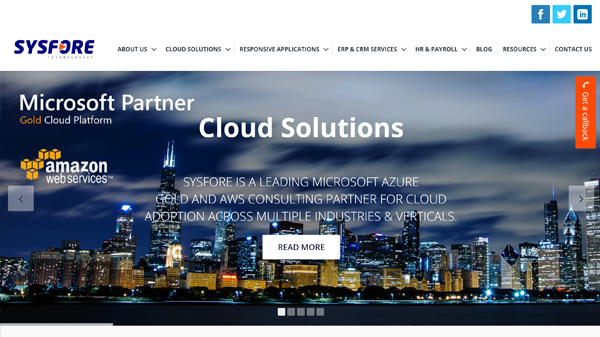 With the new Sysfore website, the emphasis on our Azure Cloud Services and Solutions are more evident, extensive and clearly outlined. 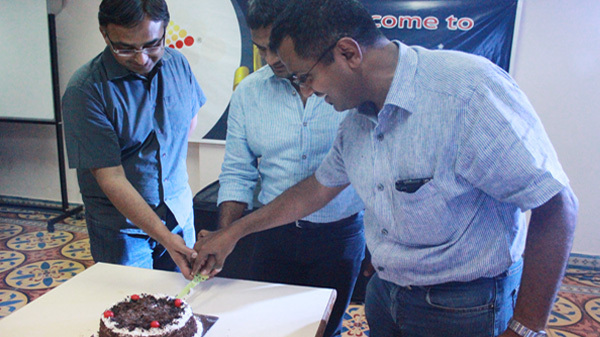 Team Sysfore celebrated its 10 Anniversary celebration at Club Magnolia, Bangalore on April 4th 2014. The entire team of 75 personnel participated in an offsite whole day event that was hosted for them by the company. The event celebrated the team, customers and success of the previous years, and also set to mark the changes and goals for the near future. Besides being a fun filled event with lots of team activities that highlighted the camaraderie, the event also marked the initiation of change for the company. Recognition Awards were also given to team members who have played significant roles and contributed to Sysfore's success. More details and pictures can be seen on our Facebook page.